Please bring me a pencil, eraser, and notebook. The Oxford comma comes right after eraser. Please bring me a pencil, eraser and notebook. Unless you’re writing for a particular publication or drafting an essay for school, whether or not you use the Oxford comma is generally up to you. However, omitting it can sometimes cause some strange misunderstandings. I love my parents, Lady Gaga, and Humpty Dumpty. I love Lady Gaga, Humpty Dumpty and my parents. 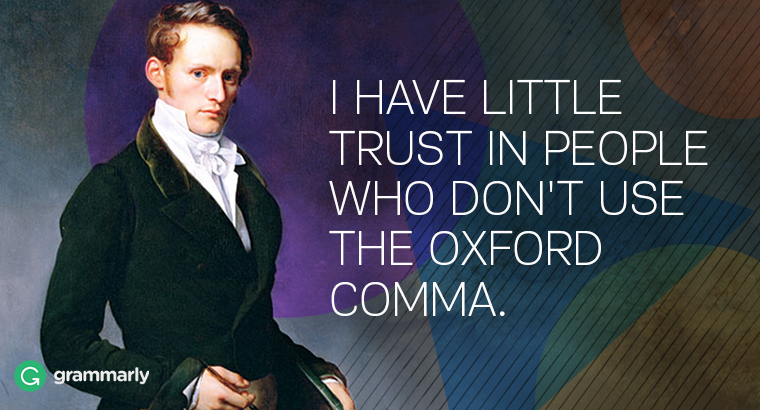 What do you think about Oxford comma? Share your thoughts in the comments!